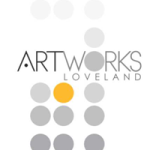 ArtWorks Loveland is a career accelerator for mid-career visual artists. The program has an emphasis on providing time, space and artistic interaction for the creation of challenging visual art in a market driven world. The program is a multiphase project spanning 5 to 10 years starting with artist studios in its downtown Loveland building. The Erion Foundation founded this non-profit organization in 2011 and plans to have it financially self-sufficient by 2020. Colorado Youth Outdoors (CYO) is a family-based program that brings teenagers and their parents together in educational outdoor activities. In 2007, CYO acquired Swift Ponds nature area. 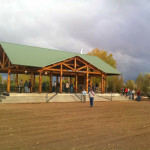 The Erion Foundation funded a portion of an open-air facility named the Erion Pavilion. The pavilion is the first structure on the property and will be used primarily as a sheltered learning center for the organization. The Erion Pavilion was completed in October 2010. Long term Legacy Partners of the Erion Foundation these two organizations share buildings, kitchen and professional staff to serve healthy nutritious meals to those in need. Each organization relies on its many volunteers to serve these meals. Conrad Ball Middle School IPAD project is a program designed to provide a district owned IPad to every sixth, seventh and eighth grader attending Conrad Ball Middle School. 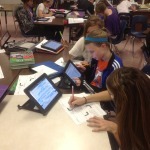 The 1:1 IPADS provide students and teachers with a new level of education possibilities with IPAD mobile technology. The project was implemented in 2012. The House of Neighborly Service Community Life Center dedicated to Lynne Erion, long time board member and volunteer, is a 67,000 square foot building housing more than twenty social service agencies under one roof. House of Neighborly Service is a Legacy Partner of the Erion Foundation. Have a child interested in the arts? Students in the Thompson School District in Loveland, and beyond, have access to an education program which nourishes its artists. It’s called Loveland Integrated School of the Arts, also referred to as LISA. 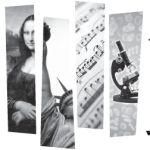 In 2007, the Thompson School District launched LISA in order to provide an educational option for students with a passion for the arts. The curriculum is designed to integrate visual and performing arts across the curriculum and offer alternatives to traditional learning styles. The Erion Foundation played a critical role in the establishment of the LISA program and continues with annual support today. 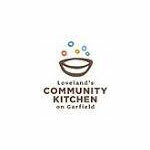 Loveland CreatorSpace is a non-profit, members funded and operated, cooperative “makerspace” for engineers, artists, musicians and tinkerers of all sorts to come together and … CREATE! The Erion Foundation is a key supporter of this project. 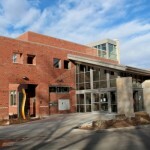 The Loveland Public Library is expanding and renovating the current library building to update and increase the services it provides for the community. The expansion will add nearly 27,000 sq feet of public space. New features and services will include additional meeting rooms, a dedicated teen area, a genealogy and local history center, a business center, a dedicated classroom, and a café, all in a LEED-certified, green and sustainable building. The Erion Foundation has been working with the Friends of the Loveland Public Library and the City of Loveland to help fund the project. A meeting room on the second level of the library is named after the Erion Foundation. 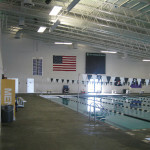 Located on the campus of Loveland’s Mountain View High School, the Mountain View Aquatic Center opened in October 2002. The aquatic center offers two pools: an eight-lane competition pool and a warm-water leisure pool. The leisure pool features a zero-depth entry, small slide, and two 1-meter diving boards. The Erion Foundation, community members, other foundations, and members of the Erion family helped fund this project.